Welcome to my (late) first Saturday Evening Writing Post. I’m feeling only okay after getting my tooth done yesterday, so I’m going to keep this post a bit lighter than I originally meant to make it. I can recall very clearly the first time I’d gotten a glimpse of a new age of publishing. At the time, I was working in a (shhhh) used book store, where people, mostly ladies, would come in every week with new Harlequin romances to trade for Silhouette romances, or vice versa. Of course, the best customers were considered the ones who traded Nora Roberts books in and got some of our more overstocked books. Romances were most definitely the biggest sellers there. In addition to every imaginable line of Harlequin and Silhouette (Desires, Super Romances, etc), we had a healthy selection of Historical Romances. 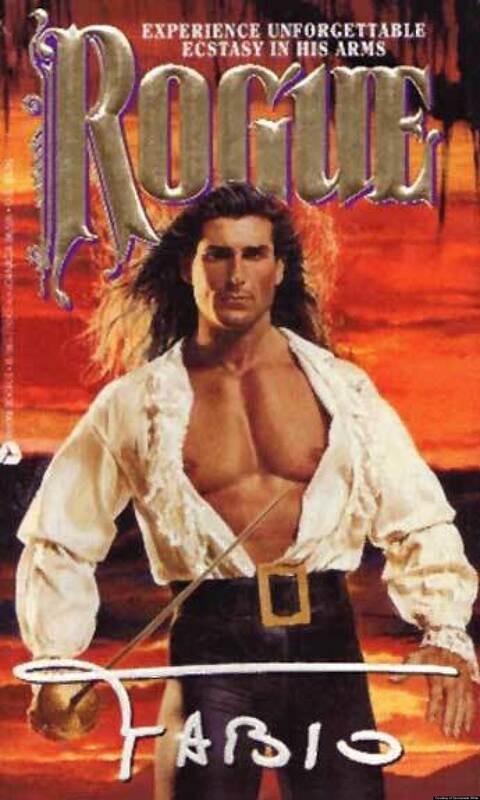 One day, a kid had gone into the store with his mother and called out “Fabio” every time he saw the famous model on one of the multitude of book covers. Needless to say, he was calling the man’s name quite often. This was what I felt I had to look forward to as an aspiring author. I didn’t dare hope to write real science fiction or fantasy, even though it’s true that there were a couple of female fantasy authors even back then, but let’s be honest, I felt I’d be stigmatized. Surely fantasy, sword and sorcery, space ships, all that was the realm of nerdy guys who never grew up enough to read Tom Clancy and Lawrence Sanders and Jon Land, weren’t they? The closest I’d ever get to writing something like that would be “Futuristic Romance,” Time-Travel romances, or the very obscure Angel romance. I am telling you about the perceptions I had at the time. Whether they are completely accurate or not is another issue. If you were an author that didn’t want to be pigeonholed, you were in trouble. If you wanted to get published, you needed to fit into the mold. And that mold would change, sometimes too suddenly for others to keep up. There was one published author who would come into our store on a regular basis. She wrote for Silhouette, but also wrote larger contemporary romances, usually with a comical bent. She complained one day in the late nineties that she was having trouble, since all the romance authors were making a shift to romantic suspense, and that no one was looking for the type of romance she used to write. Before I left that store in 2001, the shift was again taking place, this time to the paranormal romance featuring werewolves and vampires, which had been previously the realm of horror writers. In between all this, we had a woman come in one late afternoon. She had a box with her, and a plastic display. She asked my co-worker at the front desk if we would consider selling her product. What was it? It was a book on a floppy disk! She had even printed little labels that looked like beach chairs on the sand, stuck onto each diskette and placed into a plastic case, sort of like a CD case. I recall having my eyes opened at that moment, seeing that potential that was there for the writer who wanted to publish on her own terms, using the computer to do it. The only problem I could see with that scenario was that people would probably not be too keen on sitting in front of a computer to read all day. My goodness, how far technology has taken us! That woman was a pioneer, the kind who tells everyone else that there’s a river that needs to be crossed. Portable devices that enable people to read electronically published books has become that bridge. Have you ever tried sending your Word Document to your Kindle or Kindle app? If you haven’t done this before, you need to download a small file to your computer so that Amazon will be able to email your document to your Kindle. It’s cool to see your work in progress on your Kindle, isn’t it? I find it’s a godsend for editing! I catch so many more mistakes while reading a mobi file rather than reading a doc file! And here’s another trick I found. If you have more than one portable device on which Kindle is loaded, when sending your document to one of your Kindle devices, also send it to your Kindle cloud as a back up. Then, on your other device, download the file. Now, if you make notes on one device, you’ll have them synced to your other devices as well. (By the way, just as a side note, I’m becoming addicted to embedding these getty images into my posts).